I bought this body scrub yesterday after seeing Grace (Ziegfeld Girl) mention it in a haul post here. I love it so much I thought I would share it with you guys straight away. Especially because at the moment it's currently down from 19€ to 10€. 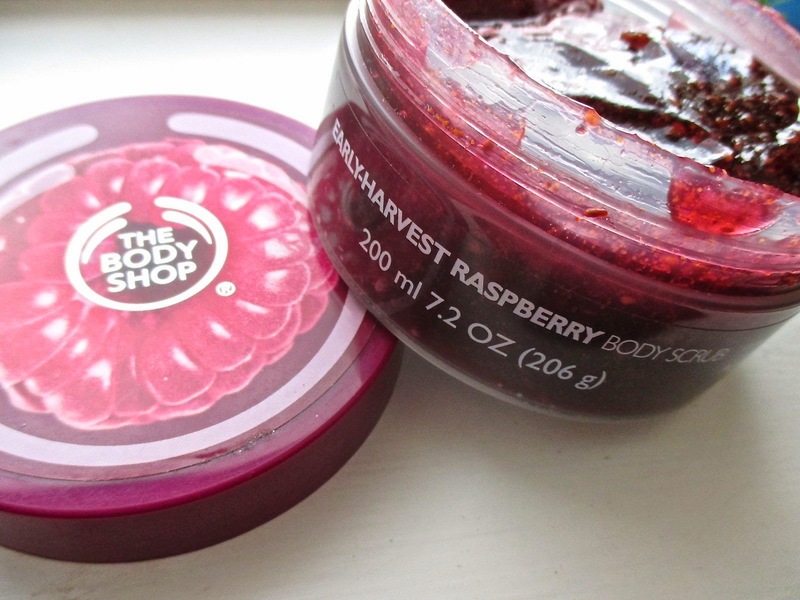 Yes, The Body Shop is having a sale and I managed to restrain myself to one single item. I love body scrubs nearly as much as I love body butters and I looove body butters. I think it's important to take care of your skin and scrubs and body butters go hand in hand. A good exfoliation every few days can really help the overall appearance of your skin. It's just like exfoliating your face - it takes away all that nasty dead skin and helps to even out your skin tone. If you apply fake tan it's important that you exfoliate regularly as it helps the product absorb better and the look of your tan is more natural. The same with shaving. Exfoliating those legs will leave them silky smooth and help you achieve a better shave. 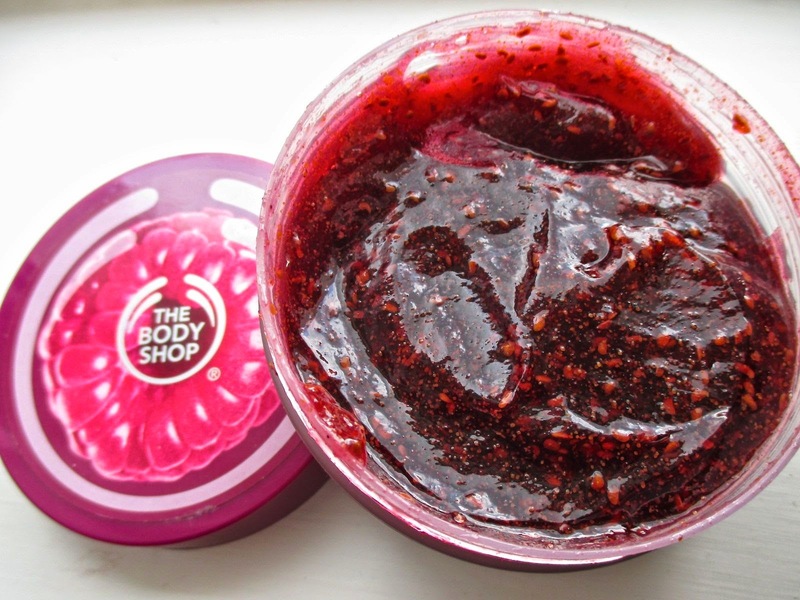 This body scrub from The Body Shop is different to the ones I usually use because its more slimy/gel like (Grace compared it to jam). The ones I use are thicker and just that little more abrasive. Having used this one I can now say that for day to day use they're a little too harsh and I'll be switching to use this one for day to day use. 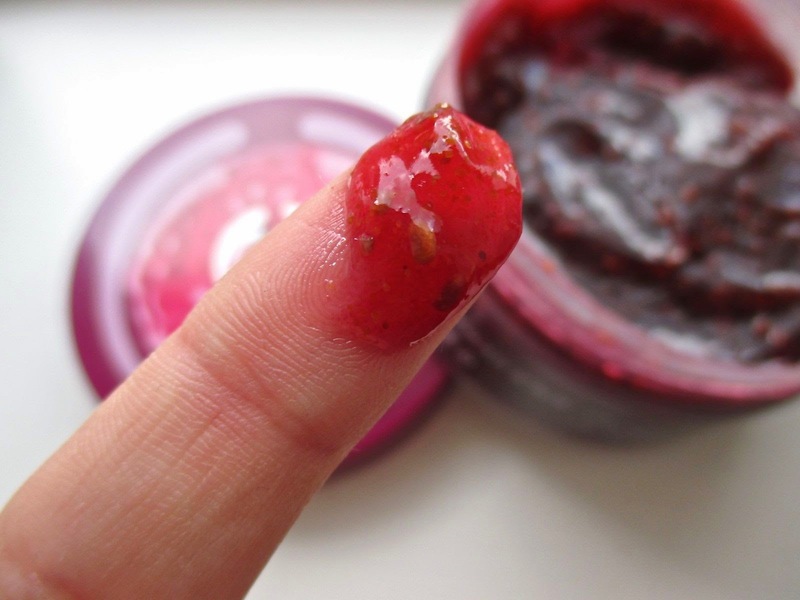 The raspberry body scrub has all these tiny little sugar granules that you barely notice when you apply it to your skin but as soon as you start to scrub you can really feel them getting to work. They're tiny. I also really like that the little seeds within the scrub act as part of the exfoliator too for a better scrub. I focused this scrub on my shoulders last night because I've got some horrible back-ne as a result of acne medication and I'm really impressed. Where as my Soap and Glory one was a little too harsh for this area and really didn't make much of an improvement, this one from The Body Shop has left the area feeling super soft and has slightly improved the redness. Overall I'm seriously impressed with this scrub. Not only does it smell deliciously sweet and look good enough to eat but it gets off all that icky dead skin and leaves your skin feeling ridiculously smooth. A+ from me. This looks amazing! I need to pick this up!